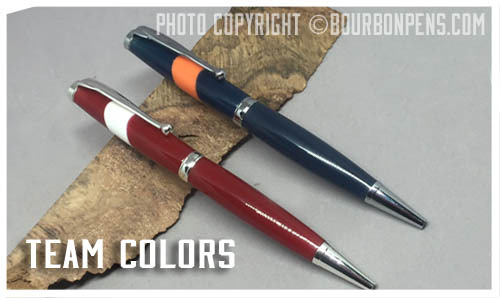 This is a Slim Pen with a Comfort Band center, chrome hardware and made with your choice of team colors. This pen is a twist mechanism and uses a Cross refill. These are a made-to-order item. Send me an email to make sure I have your colors! More are added all the time.